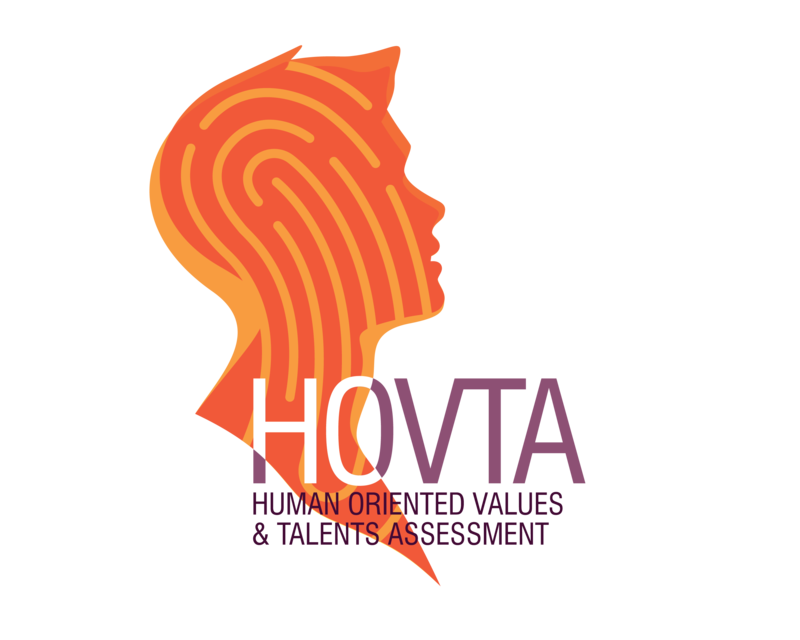 The Human Oriented Values & Talents Assessment (HOVTA) helps assess and classify values, identify talents, and measure an individual's or team's life orientation. The assessment is based on the humanistic coaching model ® developed by the International Institute of Humanistic Coaching. HOVTA is intended for companies, recruitment agencies, coaches and also individuals. IICH's ambition is to propose an innovative self-knowledge tool for identifying values and talents in order to promote sustainable recruitment, team cohesion, dialogue and commitment, guidance in a life rich in meaning. A value is a belief that strengthens the identity of an individual or group. Values are the forces that direct our actions. Our value system is a very personal compass that guides our perceptions, judgments, decisions, actions, habits, and behavioral structures. Values thereby influence our decision-making and actions. Values also affect our emotional states. They represent our ideals and reflect our vision of Happiness. Knowing your values is key to understanding what is happening in your life. It is a way of coming into contact with others on what is essential. It is a way of giving meaning to your choices. It is also a way of putting your talents forward to serve a specific company or a project rich in meaning. It's a way of choosing to co-build tailor-made Happiness. A talent is an innate ability that can be expressed in the form of several skills. A talent is recognized by others. Using your talents is simple, does not require effort and provides pleasure. Knowing and valuing your talents is a strength in a career interview or job interview. In terms of human resources, managing talents makes it easier to imagine the possible professional evolutions within the company. Recruiting team members for their values and talents helps foster sustainable commitment to a company or project. For individuals, HOVTA promotes knowledge and self-confidence. It speeds up the processes of personal development. It facilitates choices and professional orientations. For entrepreneurs, managers and Human Resources specialists, HOVTA enables to identify teams’ values ​​and talents, uniting through meaning. For recruitment agencies, HOVTA can revolutionize recruitment codes by identifying candidates' values and talents. For coaches, HOVTA makes it possible to deploy all the resources of the person being coached, for a harmonious and meaningful approach. It accelerates the process of personal development for the person being coached. I was determined to realize my desire for meaning and to only accept a job if it corresponded to my fundamental values. It is only when we know the meaning of our life that we can discover the meaning of our work. It is our desire for meaning, and not for pleasure or power, which illuminates our life with true freedom. It is not difficult to make decisions when you know your values. If you talk to someone in a language he understands, the message will reach his head. If you talk to him in his own language, the message will reach his heart.